The Full Persian Necklace is beautiful. It is sometimes called the Foxtail weave. The Necklace is a rope-type chain that looks slinky but and lays smoothly around your neck. It can made in silver filled, all sterling silver, or all yellow gold filled. It is also available in a two-tone striped design of sterling silver and yellow gold filled upon request. 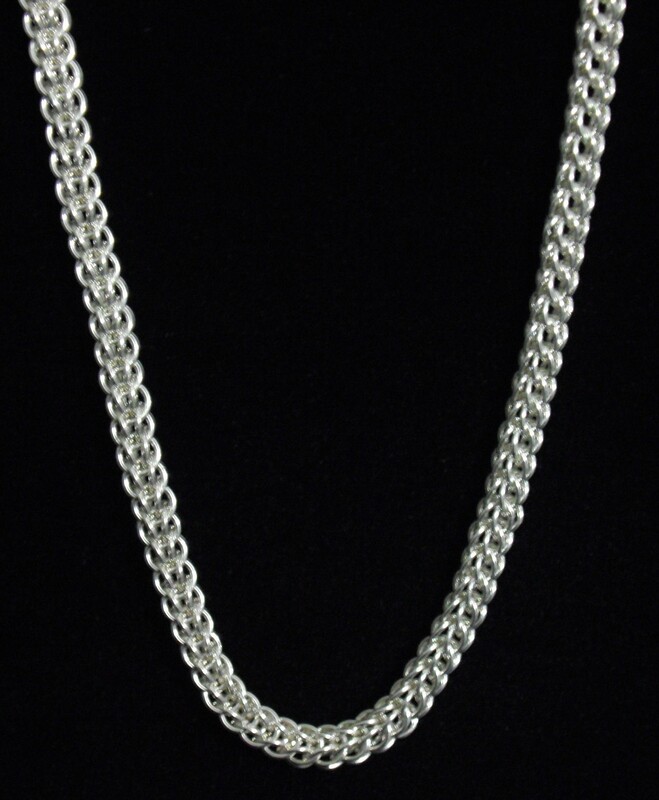 There are two chain size choices available, large and a micro size. The kit is for an 18 inch necklace, but you can purchase additional two inch kits if you would prefer it longer. The kit includes a sterling silver or yellow gold filled balloon clasp. It is an intermediate chain mail weave. Nice companion pieces are the Graduated Full Persian bracelet and earrings found in their respective kit sections.